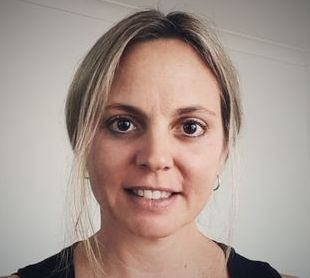 Sarah Gray is the Founder and current President of ausEE Inc. She also works part time in local government in finance and procurement with over 20 years experience in the local government sector. Her goal is to make sure that anyone who lives with an eosinophilic gastrointestinal disorder can turn to ausEE for support and to help raise awareness of the disorders in all of Australia. She has two daughters, one of which (Bella) lives with EoE and was the catalyst for forming the organisation in November 2009. For every new member that joins ausEE, Sarah's passion and commitment to the organisation strengthens. She strives to improve the quality of life for all people living with eosinophilic disorders. Mercedez Hinchcliff joined the ausEE Inc. team in November 2009 and currently serves as Vice President. Her background is in Marketing and Finance within the Banking Industry. In 2019 she received her Doctorate from the University of Wollongong and currently lectures at the Sydney Business School (part of UoW) in Marketing. She uses her experience to help with the fundraising and marketing for ausEE. Her son Henry has EoE which is what led her to her involvement with ausEE and drives her dedication to the organisation. She is committed to providing support and information to the public and the medical community. You can read Bella's story and Henry's story on our Read A Story page. If you would like to get more involved then please consider joining the ausEE Inc. association by completing an Application for Membership form. As a committee member you are eligible to attend committee meetings and have your say. The Management Committee of ausEE Inc. is comprised entirely of volunteers and the association has no paid staff. Meetings are held every four months on the Sunshine Coast, Queensland. Committee members can reside anywhere in Australia and attend meetings via electronic means. There is no cost to join the ausEE committee.